The Bipartisan State Board of Elections and Ethics Enforcement has begun disclosing evidentiary materials related to its investigation of election fraud in the 9th Congressional District election. The disclosure of records, announced Tuesday, Dec. 4, followed complaints by Republicans about the secrecy surrounding the call for an investigation into alleged election improprieties. The board voted twice not to certify election results showing Republican Mark Harris won by 905 votes over Democrat Dan McCready. The elections board voted to hold an evidentiary hearing by Dec. 21, though it is slated to disband by court order Dec. 12. Legislation is moving through the General Assembly to reorganize the board into two agencies in an attempt to overcome the court ruling. The current format, the court ruled, is an unconstitutional encroachment of the legislature into executive branch appointment powers. Allegations have surfaced about absentee ballot irregularities in Bladen and Robeson counties. Leslie McCrae Dowless, who has done what was termed get-out-the-vote work with the Harris campaign, and in previous Republican campaigns, is at the heart of the probe. Dowless apparently hired people to sign witness signatures and collect absentee mail-in ballots from people in Bladen and Robeson counties. State law limits submission of those ballots to the voter, near family, or legal guardian. It’s not known if campaign workers filled in votes for Harris on some ballots they collected, or discarded ballots voters filled out with McCready votes. Bladen and Robeson counties had the highest percentage of unreturned mail-in ballots in the state. According to its Tuesday news release, the state elections board will release only documents that do not prematurely reveal sources or do not undermine the integrity of the investigation. They will be posted to an online portal. The release cautioned that materials made public do not constitute all the information gathered, and should not be considered proof that fraud occurred. By early afternoon Wednesday, the portal contained a number of documents. They showed, among other things, 482 absentee mail in ballots were sent but not returned in Bladen County, and 1,196 were sent to Robeson County voters but not returned. Bladen County sent 99 mailings that were returned undeliverable, and 54 people logged in for delivery of a ballot request form. Other documents showed copies of 796 ballot return envelopes for Bladen County, and 666 for Robeson. 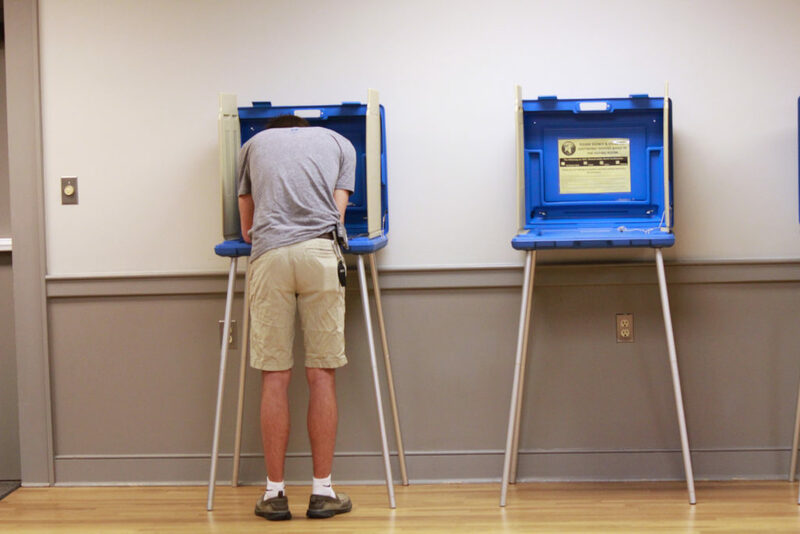 “The State Board has long sought to promote public confidence in elections through the transparent production of official records and extensive public data when disclosure is possible,” elections board Chairman Joshua Malcolm said in Tuesday’s release. Malcolm was named to the post by Gov. Roy Cooper after previous chairman Democrat Andy Penry resigned Saturday, when his disparaging social media remarks about Republicans came to light. State law requires neutrality of elections board members. Malcolm said he ordered staff to review materials before public disclosure. The decision was made to serve the public interest, and to respond to requests for information, he said in his letter to elections board Executive Director Kim Strach. Mark Gaber, senior legal counsel for the Washington, D.C.-based Campaign Legal Center, told Carolina Journal on Tuesday the elections board’s cautious approach to releasing information was in the best interests of the state and congressional district. Despite the enormous public interest in the election, people shouldn’t expect a real-time display of evidence that could compromise the elections board’s investigation, he said. “You don’t want to be sullying people’s reputations unnecessarily” by naming them in connection with an investigation because they might have done nothing wrong, Gaber said.